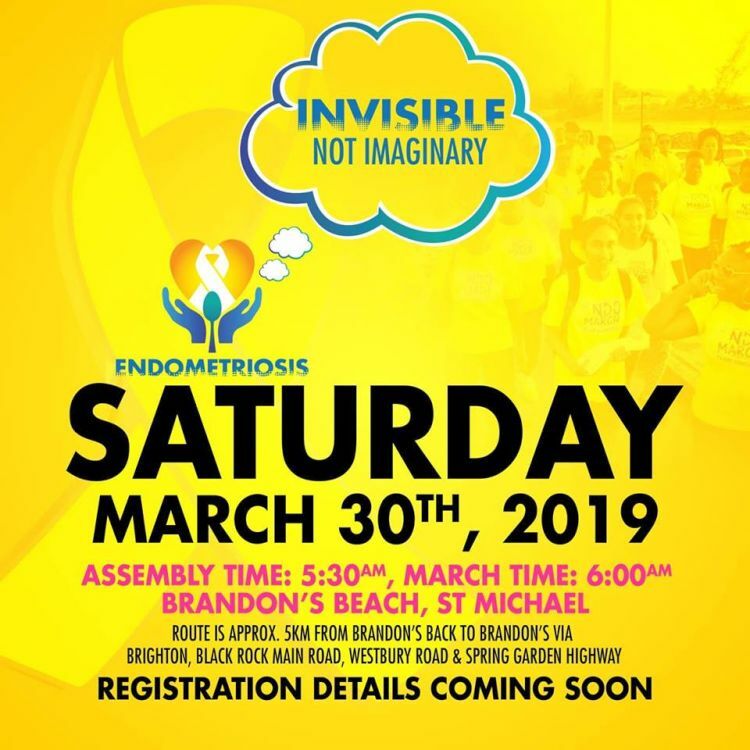 The Barbados Association of Endometriosis and Polycystic Ovarian Syndrome (PCOS) (BAEP) presents the 3rd annual EndoMarch Barbados. March is recognized as Endometriosis Awareness Month. Walkers will participate Worldwide. This year's Theme is: Invisible Not Imaginary! Route: Starting from Brandon's Beach (assemble by Rascals, formerly Weisers), onto Spring Garden Highway, then onto Westbury Road, passing Eagle Hall Post Office, onto Black Rock Main Road, then back to Brandon's Beach via Brighton. Guided Warm-up before and Yoga Cool-down after walk. There will be prizes awarded to the first male and first female to finish, as well as the first BAEP member and the first child (under 12 y.o.). Sizes range from XS (or a size 14 children) to 3XL while stocks last. Shirts are now available in Upbeat Sheraton, Sky Mall and The Walk (Cost U Less complex). Please note that you do not need to purchase a shirt to register or to walk at the event - if you do not want to purchase a shirt, wear yellow to the event. However, you still need to register to be eligible for a prize. 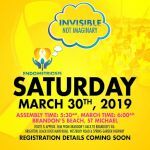 The Barbados Association of Endometriosis and PCOS is a non-governmental organisation, sharing awareness about Endometriosis, PCOS (& other gynecological disorders) and offering tangible support to sufferers.